Jefferson’s “Academical Village” at the University of Virginia. Hierarchy is a powerful concept in architecture. Some buildings, such as Frank Gehry’s iconic Guggenheim Museum in Bilbao, Spain, or the Sydney Opera House, rising out of the harbor with its bright “sails,” grab our attention and dominate the landscape. The majestic, muscular Art Deco City Hall in Buffalo, New York is another, if less obvious, example. It nobly anchors the city’s main public square, telling us, “this place is important.” The building has a powerful presence when seen from a distance down one of the city’s long, main boulevards. It establishes a sense of procession. But not every building should scream at us. The quiet, surrounding background buildings are just as important to architectural hierarchy. These are the buildings that make up the nuts and bolts of a city and make the occasional icons especially powerful. Consider the satisfying feeling we get from the handsome, but homogeneous, blocks that make up the majority of central Paris. 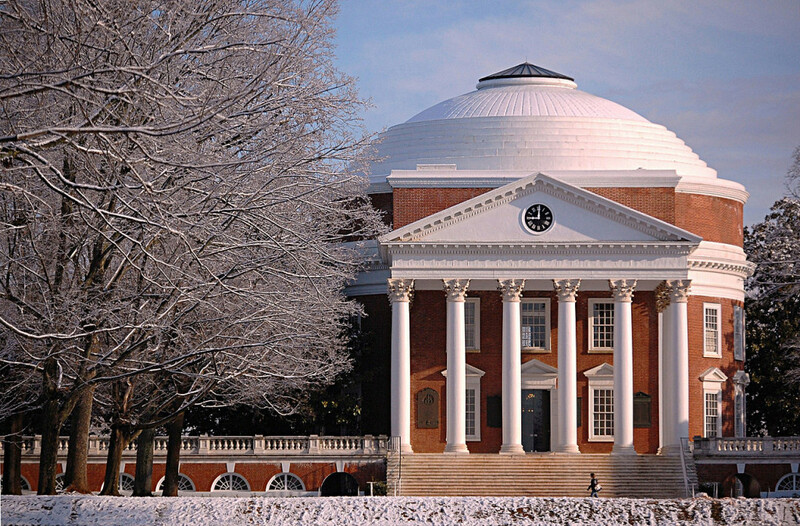 Hierarchy is apparent in Thomas Jefferson’s masterful, classical design for the University of Virginia. The Rotunda, influenced by the Pantheon in Rome and Palladian architecture, sits at the head of The Lawn, flanked by the background buildings of the “Academical Village.” The Rotunda, which Jefferson designed to represent the “authority of nature and power of reason,” houses the library. Interestingly, as architect Stanley Tigerman mentions in this 2011 Yale lecture, Jefferson’s original plan did not include the Rotunda. It boldly obliterated hierarchy, leaving The Lawn open-ended, similar to twentieth century architect Louis Kahn’s 1965 design for the Salk Institute in La Jolla, California. It was only after Jefferson visited Europe that he retreated from the ultimate democratic symbolism of his initial design. Look at the image below and consider The Lawn without the hierarchy of its famous Rotunda. Ultimately the University of Virginia is an essay in balance-balance between the built world and the natural one, between the individual and the community, between past and present, between order and freedom. There is order to the buildings, freedom to the lawn itself-but as the buildings order and define and enclose the great open space, so does the space make the buildings sensual and rich. Neither the buildings nor the lawn would have any meaning without the other, and the dialogue they enter into is a sublime composition. The lawn is terraced, so that it steps down gradually as it moves away from the Rotunda, adding a whole other rhythm to the composition. The lawn is a room, and the sky its ceiling; I know of few other outdoor places anywhere where the sense of architectural space can be so intensely felt. 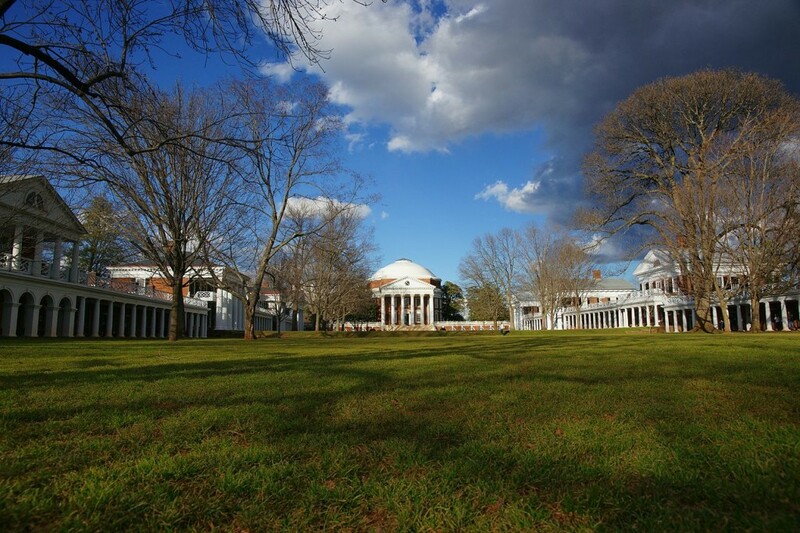 Jefferson’s Rotunda at the University of Virginia establishes hierarchy on The Lawn. In addition to being a visionary architect, naturalist, statesman, and author of the Declaration of Independence, Thomas Jefferson was a violinist. 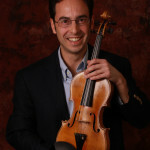 During his lifetime he owned three violins, one possibly made by famous Cremona master, Nicolò Amati. His library included the technical treatise, The Art of Playing on the Violin by Francesco Geminiani (1680-1762) as well as sonatas and concertos by Corelli, Vivaldi, Handel, Pugnani, Boccherini, and others. The quote, above, is from Paul Goldberger’s Why Architecture Matters. Thank you for a very interesting article on Thomas Jefferson as a visionary architect and violinist along with his other accomplishments.